Hearing the words Middle East conjures scenes of war, terrorism, refugee crisis, pain and death. But in pockets of neighborhoods in this besieged area of the world, there are lives being transformed by the Gospel. GLINTS is privileged to partner with CPDE, a house church movement sweeping the land in miraculous ways. Uncertainty has been the prevailing situation in this region, but CPDE is seizing this as an excellent opportunity to proclaim the Hope of the Gospel found in Jesus Christ. These are exciting times in the Middle East as an intrepid force of believers disperses into communities, knocking on doors and inviting people to study the Scriptures. 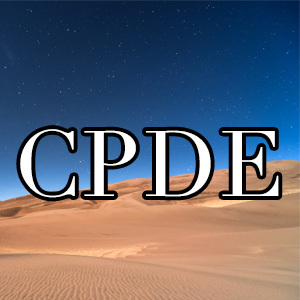 Hundreds of thousands of souls have found hope in Christ through CPDE. Pray with us as we support the vision of CPDE to plant 25,000 house churches across the region by the year 2020. Electronic Funds Transfer is the best way to deliver your monthly support. You can donate online by clicking the donate or PayPal button below.